This is going to be one of my shorter reviews, because quite frankly I could type word for word my review of season six and it would still be spot on. The biggest frustration is the lack of steady character development. While each character has their individual scenes, and various pairings have nice little moments of connection, they’re all isolated and almost forgotten the next week. It was great to finally meet Tony’s dad (brilliantly cast as Robert Wagner), to see Ziva fully commit to NCIS and Ducky dealing with his mother. The plots are fast paced, twisty and interesting; the actors very charismatic; the dialogue smart and funny and all wrapped up with some big budget action sequences. The problem is that when they’re not moving forward, they’re taking massive steps backwards. It’s frustrating and insulting when one week there are insights into a character or a partnership is shown working with trust and respect, then the next week the character is back to a one-dimensional stereotype, and the partnership reverts to name calling and manipulation. It’s absolutely fine that not every episode can have big revelations and events, there’s going to be a lot of filler in a 24 episode season and they can still be fun, creative stand-alone episodes. But in a season with only a very minimal running storyline, the characters are the only things that bind everything together. If they are flip-flopping about one episode to the next, watching every episode is actually damaging rather than rewarding. I can only conclude that they are lacking a driving force in the writers room, that each episode is written largely independently and there’s no one ‘running the show’ and making sure that everything is consistent. 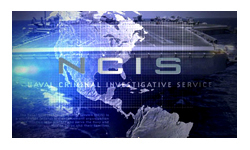 In the season six review I said “I think if [NCIS] wants to keep going it needs to find some spark otherwise it’s going to decay to an inglorious retirement” and that is still very true. Season seven was a step towards that retirement. It’s a sorry end to a show that I might once have argued was the very peak of the crime procedural genre.